Also known as "do not touch me" due to the fragility of its flowers, the Impatiens Walleriana is a very common plant especially in balconies that do not enjoy excellent lighting. 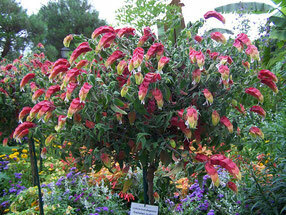 Native to Africa, this kind of plant occurs under 500 different species almost all year-round. The Impatiens Walleriana specifically, also known as Impatiens Holstii, is a perennial species characterized by elongated leaves whose shade can vary from green to bronze. 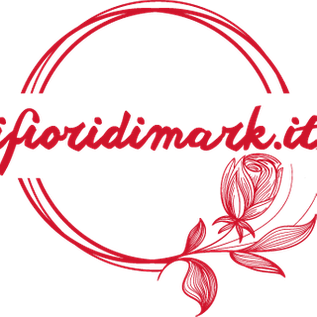 The flowers are presented instead through a wide range of different colors, especially due to the high number of hybrids that exist on the market. However the stem, robust and fleshy, never exceeds 40cm in height. This plant does not tolerate cold climates and sudden temperature changes, the ideal temperature is around 18 °. This temperature, if kept constant, can guarantee an annual flowering even at home. 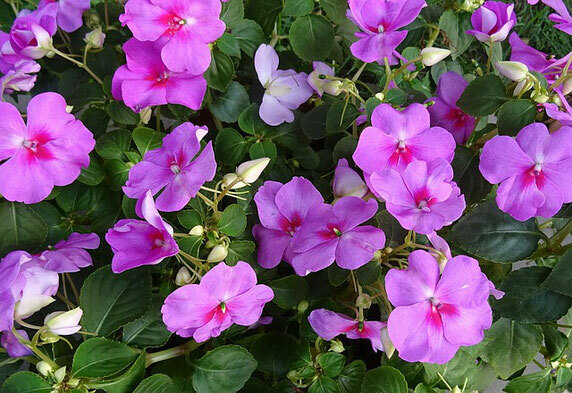 To cultivate the Impatiens Walleriana, keep the plant away from its worst enemies: cold and excess water. Even if it is a plant that fears low temperatures it is advisable to keep it away from any direct sun exposure and at a temperature that is not less than 12 °. The temperature must also be as constant as possible, so keep it away from drafts or temperature changes between outside and inside. The watering must be well considered, it is advisable to dose the water with particular care. The earth must be watered in fact only if well dry; it is not recommended to water the leaves by nebulising them, this in order not to favor the development in the leaves of molds and the proliferation of the parasites on them. Because of the sensitive predisposition to stress it is better not to repot the plant if it is not strictly necessary. In the spring it is possible to fertilize and this operation can be repeated after 15 days if there is a need. 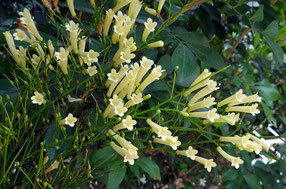 If you want to multiply the plant, you can do by cutting, but be very careful not to damage the stem that could fray. More suitable for this type of plant is rather the sowing to be carried out in spring, but with specific soil and paying particular attention to the fungi that could attack the newly sprouted plants. Walleriana and its soil, if not kept in optimal conditions. Unfortunately this beautiful plant fears a little more 'than the other infestations. Particular attention must therefore be paid especially to the fact that important episodes may require the use of specific pesticides and long treatments to return the plant to optimal conditions and the sensitive plant may become stressed. This occurs especially when the presence of the "red spider mite" is evident, which presence manifests itself through the unsightly yellow spots on the leaves. The lice are less invasive, however they must be removed mechanically through a wet cotton swab. This plant is also well known for its therapeutic properties and for its use in natural preparations such as "Bach Flowers". Very popular also for its ability, according to folk medicine, to treat scars and burns.